The latest slowing of the economy has the wizards at the Federal Reserve scratching their heads. Blaming the first quarter contraction on the weather, the strong dollar and even climate change, the truth is the latest GDP figures are just more proof the United States Economy has not recovered. This is not news to the millions out of work, many of whom have stopped even looking for a job. This is unless you are a immigrant. In the Obama economy Americans have continued to suffer while new arrivals have been doing well. The majority of new jobs have gone to immigrants (both legal and illegal) while native born Americans have been left out in the cold. This also helps explain the stagnant wage growth. The new arrivals, willing to work for much lower wages, have undercut Americans competing for the same jobs. Across the Nation American Workers are Being Fired and Replaced by H1B Visa Holders Willing to Work for Less Pay. This President Obama work Program has put Thousands of Americans Out of Work, With Many Forced to Train Their Replacements. Among those Replacing Americans with Imported Labor are Such Stalwarts as Disney World and Southern California Edison. In the U,S, Most of the New Jobs Under President Obama have been Low Wage Jobs, Jobs That have Gone to Immigrants for the Most Part. Despite This, the President Continues to Push for Increased Immigration and Encouraging Illegal Immigration. What has been missing in the economic fray is the application of common sense. In economic downturns, the normal response has been to restrict immigration in order to stabilize wages. 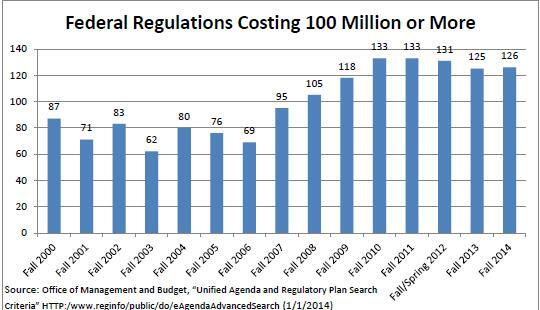 Additionally, the trend was to loosen economic regulations to assist businesses survive and thrive in difficult times. Under Obamanomics (and Euronomics as well) the U.S. has expanded immigration, both legal and illegal, and piled on record amounts of costly regulations. As if to add insult to injury, the misguided and dysfunctional takeover of health insurance called ObamaCare has put a drain on American resources. The Federal Reserve’s (FED) reaction to the mayhem has been to pump out endless amounts of free cash to prop up what the government has been trying to tear down. The result has been a stimulus program that seems to have no end. While many “experts” feel that this tide of easy cash might soon start to ebb, with the FED finally raising interest rates possibly this fall (which they said last year as well), it is more like they will not. Peter Schiff probably pegged it when, at the Las Vegas SALT conference, he said the FED would instead institute a QE4 (or maybe it should be called I4 for insanity to the 4th power). The premise that easy money fueling false growth can somehow magically replace real growth is held fast by the central banks. Inflated with a sense of over importance, they simply believe they can create economic growth out of thin air. While this might not be true, they can warp economic conditions and create bubbles that will eventually burst. While not universal, there is a growing consensus that the long running of the bulls on Wall Street is coming to an end and that the bears are stirring from their slumber. Talk of the end of a 35 year super cycle and hard times ahead are spoken of by men not easily shaken. Socialist monetary raider George Soros, stock market guru Ray Dalio, British born wonder investor Jeremy Grantham and many others are speaking in nearly one voice of desperation. Grantham, in a recent interview, said,”Thus far, she (Fed Chairman Yellen) seems to also share their view on feeling no responsibility to interfere with any asset bubble that may form. 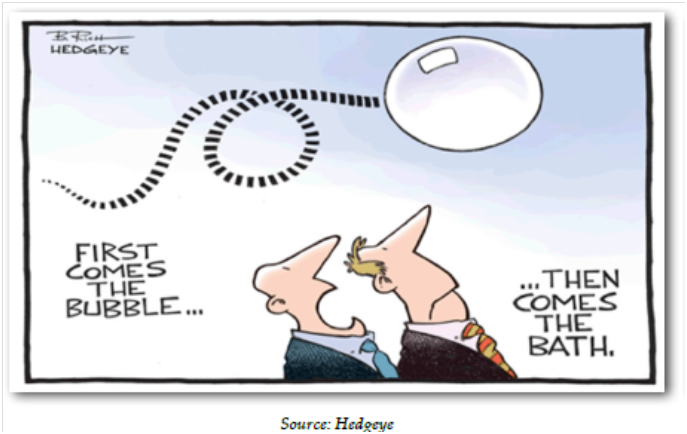 For me, recognizing the power of the Fed to move assets (although desperately limited power to boost the economy), it seems logical to assume that absent a major international economic accident, the current Fed is bound and determined to continue stimulating asset prices until we once again have a fully-fledged bubble.” Of course, many believe their are several bubbles already nearing bursting status, with technology taking the lead. For the Federal Reserve’s part, trying to be a counter balance to government incompetence is a fools errand it seems to have fully embraced. A quick look at what has happened to the balance between the money supply and its velocity (how quickly it moves through the economy) shows just how foolish the FED money program has been. Dollars have not went towards economic growth, but have instead mostly piled up in bank and foreign reserve accounts, meanwhile the dollar’s velocity has continued to falter. In fact, despite the dollars apparent strength abroad and a massive expansion of the money supply, fears of deflation still linger. This is because, irregardless of the rising and falling of GDP, the velocity of the money in circulations continues to decline. It is more than evident at this point that the FED’s massive stimulus program has not worked, proving once and for all that, no matter how hard they try, central banks can’t undo economic lunacy. The Above Graph Illustrates How Much the FED has Distorted the Money Supply. This Distortion is Unprecedented and Without any Comparison Historically. What has happened is a gigantic Keynesian experiment that shows the folly of trying to instill growth by throwing money around. Still, there are those who prefer to whistle past the graveyard. Pointing to fluffed up growth figures, false unemployment stats and third world expansion to claim all is well, but they’re numbers seem to be thinning. In the mean time, once foolish looking doomsayers are looking more like sages. Even those predicting the collapse of the dollar are looking less like kooks everyday. The world has been taking notice as well, with calls for a replacement of the dollar for international transactions becoming ever loader. This is the pickle the United States finds itself in with a nearly stagnant economy, wages going nowhere, massive numbers of people not working, huge budget deficits, bubbles in its stock market, and worst of all a monetary system that is so upside down that total collapse is a distinct possibility. There are still those who steadfastly refuse to leave their alternate universe and see things for how they are, unfortunately the media and President Obama are among them.